"(Redacted)'s minimum requirements are it has to be Class1, Division 1, Groups C/D certification. I don't know if you would find this on a label or not, you might have to email the manufacturer. Most electrical devices have to be special made to get this rating. I think it mainly has to be explosion proof and any spark has to be contained." Does anyone know where I can find documentation of this info? This could potentially be a HUGE client. @ArtisticConcepts For a product to be Class1, Division 1, Groups C/D certified to be used around highly explosive environments is a very big deal and quite costly to gain the certification. I doubt very seriously that MP or any 3D camera manufacture has achieved this rating. It was discussed at NCTech but the cost could not justify the expense unless there was a substitution order from a petrochemical manufacture, mining company or some other company that deals in working in these hazardous environments. Thank You @GarySnyder! This potential client actually falls into that category. I have a foot in the door with an opportunity to prove the viability of the service. I guess we will do a test run outside of the plant. If they are pleased and decide to move forward, how would you recommend persuing a substitution order from the company? It would be interesting to know what your client does. If they look at the camera and of course it has no certification on it but they allow it on their site anyway this would be an interesting case study so please keep me informed on how it goes. If you like you can PM me the results. Good luck with your client and I hope all goes well. Thank You. I will try to PM you this afternoon. I can definitely assure you that the MP camera isn't C1D1 certified. It sounds like a refinery, processing station, ship, or some parts of a drilling rig. I had to photograph on board a rig once and it had to be while processes were not going on in order to meet the C1D1 requirements for "normal" operations. There is a chance that without a motor inside, a camera could be considered intrinsically safe because of low voltages and no spark gaps. Of course the facility operator can make calls based on what they see when y'all run a test. 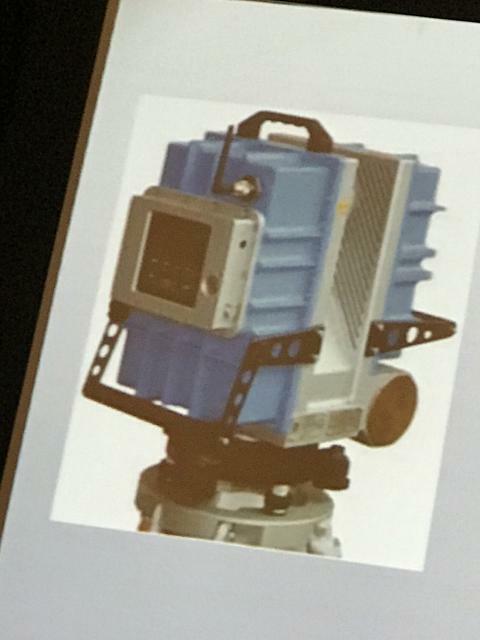 Blast Proof camera mentioned during SPAR 3D today (4 April 2017).